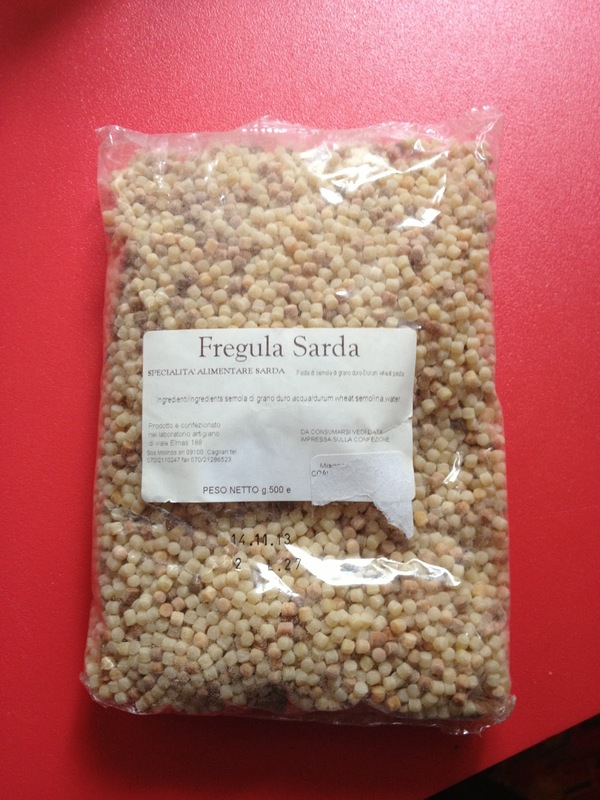 With a name like fregula, perhaps these should be added to kasha-varnishkes -- to make kasha-varnishke-fregula salad. Oy! 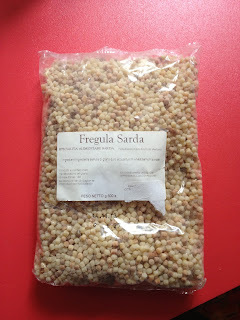 Fregola is something I only experienced in Italy! Will be on the lookout for it here. We are into these little peppers from Spain right now - guindillas - they came in my birthday basket of Spanish food & I chop them up to add punch to everything! See, my charming suitor knows the way to my heart is imported pork products, chorizo, cheeses, and jarred Spanish goodies. 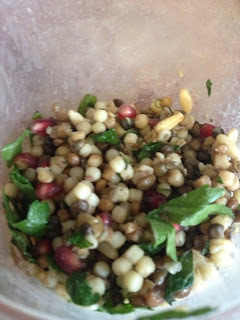 We don't have fregula/fregula at our store, but I am in LOVE with quinoa! My daughter makes an awesome southwestern black beans, corn & salsa. I've instagrammed it as it evolved. She's even used a pineapple salsa in it once. YUM!! !